"Thank you for your interest in Central Fine Arts Academy! Our intent is to serve the community with quality music and fine arts education for all ages, newborn to adult. It is our desire for all students to enter these doors eager and ready to experience the fine arts, enabling them to foster a love for a lifetime." 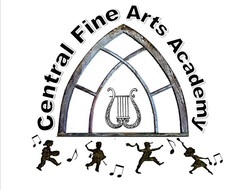 The Mission of Central Fine Arts Academy is to provide quality instruction in the fine arts, promote joy and happiness in the learning process, and to link family involvement by cultivating a life-long love for cultural arts. The academy will provide a safe, Christian setting where all are welcome. Check out our courses to see all that we offer! and with as much pleasure as they derive from a ballgame...and this must happen from the beginning of their lives."